You agree to abide by the terms and conditions of purchase imposed by any supplier who provides you with trucks or trailers. A supplier that is a truck owner is required to make available to the public the terms of its contract of carriage, and we make available the freight rules for all truck owners and customers before purchase. If any dispute arises between you and KB Global Carriers during your use of the Site or thereafter, in connection with the validity, interpretation, implementation or alleged breach of any provision of the Terms and Conditions, the dispute shall be referred to a sole arbitrator who shall be an independent and neutral third party identified by KB Global Carriers. The place of arbitration shall be Mumbai. The arbitration proceedings shall be in the English language. The Terms and Conditions shall be governed and construed in accordance with the laws of India. KB Global Carriers is not responsible for any errors, omissions or descriptions on any of its pages or on any links or on any of the linked website pages. The users are requested to verify the accuracy of all information before undertaking any reliance on such information. The linked sites are not under the control of KB Global Carriers and KB Global Carriers is not responsible for the contents of any linked site or any link contained in a linked site, or any changes or updates to such sites. KB Global Carriers is providing these links to the users only as a convenience, and the inclusion of any link does not imply endorsement of the site by KB Global Carriers. In case of any dispute between user and KB Global Carriers pertaining to the validity, interpretation, implementation or alleged breach of any provision of the Terms and Conditions, the dispute shall be referred to a sole arbitrator who shall be an independent and neutral third party identified by KB Global Carriers. The place of arbitration shall be Mumbai and the arbitration proceedings shall be in the English language. The Terms and Conditions shall be governed and construed in accordance with the laws of India. If the user does not agree with any of the disclaimers above, they are advised not to read the material on any of the KB Global Carriers pages or otherwise use any of the contents, pages, information or any other material contained on the KB Global Carriers websites. The user expressly agrees that use of the services is at their sole risk. The services are provided on an "as is" and "as available" basis. KB Global Carriers holds the sole discretion to change the features or functionality of the services at any time. The information, software, products, and services included in or available through the KB Global Carriers websites may include inaccuracies or typographical errors. Changes are/may be periodically made/added to the information herein. KB Global Carriers may make improvements and/or changes in the KB Global Carriers websites at any time without any notice to the user. 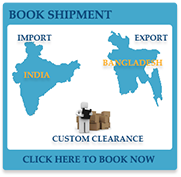 Any advice received except through an authorised representative of KB Global Carriers via the KB Global Carriers websites should not be relied upon for any assessments. The maximum liability, if, on part of KB Global Carriers arising under any circumstances, with respect to any services offered on the site, shall be limited to the refund of total amount received from the customer for availing the services less any cancellation, refund or other charges, as may be applicable. In no case shall the liability include any consequential loss, damage or additional expense whatsoever. In no event shall KB Global Carriers and/or its suppliers be liable for any direct, indirect, punitive, incidental, special, consequential damages or any damages whatsoever including, without limitation, damages for loss of use, data or profits, arising out of or in any way connected with the use or performance of the KB Global Carriers website(s). Neither shall KB Global Carriers be responsible for the delay or inability to use the KB Global Carriers websites or services, the provision of or failure to provide services, or for any information, software, products, services and related graphics obtained through the KB Global Carriers website(s), or otherwise arising out of the use of the KB Global Carriers website(s), whether based on contract, tort, negligence, strict liability or otherwise. The user understands and agrees that any material and/or data downloaded or otherwise obtained through the use of the service is done entirely at their own discretion and risk and they will be solely responsible for any damage that results from the download of such material and/or data.